In modern American pop culture, the word artist can mean just about anything and has been used (or misused) in a variety of contexts. This runs the gamut from someone who achieves greatness, to those pursuing any labor of love, regardless of the outcome. But in the traditional sense, an artist is someone who devotes his/her life to expanding the boundaries of their craft. (Well, that’s my own definition, yours may vary). The innovative trumpeter Miles Davis is a perfect example. When asked why he had stopped playing ballads, his reply was that he loved playing them too much. On the face of it, such a statement doesn’t make sense. But Miles Davis was a true artist. He never wanted to rest on his laurels and felt that, in order to grow as an artist, he needed to constantly challenge himself. The art of cigar blending is no different. There are some older practitioners who play it safe and make the same cigars year in and year out, never venturing into the un-proven. While consistent, their products are often mundane. 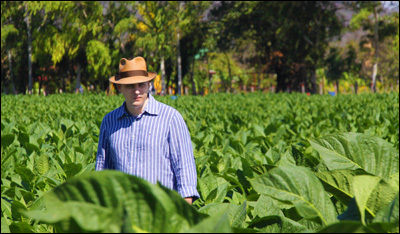 Luckily there is a younger generation of cigar makers who have brought with them a sense of adventure, and a yearning to express themselves, to make a mark in their chosen field. What sets these cigar blenders apart from others is their artistry; having a unique point of view and being able to visualize something that’s never been done before. Some of these young “pioneers” have quickly developed a name for themselves and now offer many creative new cigar blends. 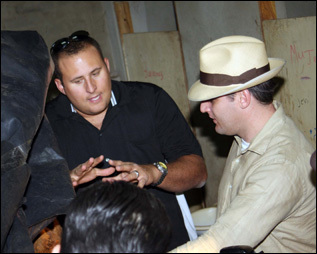 Names like Torano, Garcia, Oliva, Leccia, Gomez, and Plasencia have all emerged as cigar blenders with vision. Yet one name is missing from this august list, Abdel (AJ) Fernandez. While some have been grabbing the spotlight with big media pushes and splashy tours to announce their products, AJ has been quietly working in his “lab”, creating blends with new flavor profiles and of unparalleled smokeablilty. 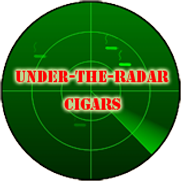 A glance at the Cigar Blender Database will show that he has been a very busy man. Not only blending outstanding cigars for others, he now has his own signature brand of flavorful, moderately priced cigars. But blending a large variety of cigars is not what makes Abdel an artist. It is his work ethic combined with an ambitious curiosity that drives him to resources not recognized by others. 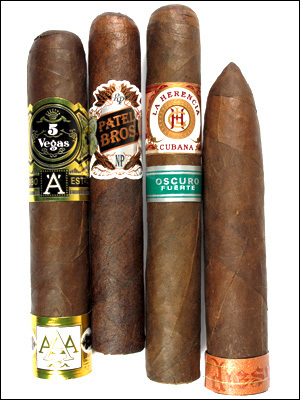 In order to create the blends for Diesel, La Herencia Oscuro Fuerte, 5 Vegas AAA, and the Patel Bros. Robusto, AJ needed patience and perseverance. This tough, thick Pennsylvania Broadleaf had great combustibility but wasn’t pliable enough to work as a wrapper. Instinctively, Fernandez knew the Lancaster tobacco would ultimately make a great maduro cigar. The aromatic qualities and great burn characteristics of the Pennsylvania Broadleaf were too good to ignore. Through multiple levels of fermentation and much trial and error, a new cigar wrapper was born. Like a modern day alchemist, Fernandez had created a new cigar that others had dismissed as impossible. The end result has been a big success. Having sampled all four cigars, I can say that anyone who loves a bold maduro would appreciate what AJ has done. The flavors are big, smoky, and very complex. Overtones of fruit abound and although these sticks are big on flavor, they are not overpowering in strength. All are inexpensive and worth trying. 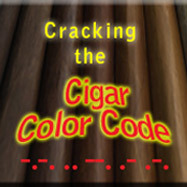 Interestingly enough, all four cigars have wrappers of differing colors and textures, but the Lancaster flavor is evident in all. I had never before seen such diversity in a common wrapper leaf and, according to Mr. Svenson, was the result of varying degrees of fermentation. As one would expect, the darkest in color, the Diesel, (actual cigar color was darker than in this picture), was also the boldest in flavor. However, all of these cigars were big on flavor and equally enjoyable to smoke. If maduro is your thing and you want a new take on that theme, I strongly suggest trying the Lancaster wrapper. Not everyone has the singular mind to pursue his or her interests to the degree of a true artist. It takes ambition, vision, and sacrifice, the kind that most of us would shy away from. But AJ Fernandez and others like him, who have dedicated their lives to expanding their world, also expand ours in the process. We reap the fruits of their labors, and whether it is in music, painting, acting, athletics, dance, or any other medium of expression, our worlds are made richer by the efforts of true artistry. Really cool. I am going to have to look into the PA Leaf. I wonder if anyone has messed around with good old Ohio leaf?